Multifunctional 320 series wireless APs provide the best 802.11ac Wi-Fi connectivity and user experience. 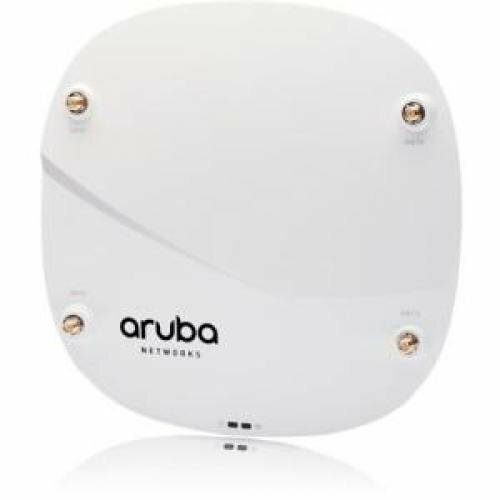 Featuring Aruba enhanced ClientMatch and Aruba Beacon technologies, the 320 series enables the highest capacity, performance, and efficiency in extremely high-density environments. With a maximum concurrent data rate of 1,733 Mbps in the 5 GHz band and 800 Mbps in the 2.4 GHz band (aggregated date rate of 2.5 Gbps), 320 series APs deliver best-in-class next-generation .11ac Wi-Fi infrastructure for the highest density environments. The high performance and high density 802.11ac 320 series supports multi-user MIMO (MU-MIMO) and 4 spatial streams (4SS). It provides simultaneous multicast data transmission to multiple devices, maximizing data throughput and improving network efficiency.